As a 61-year-old avid reader of Australian military history, all too often these days I find inaccuracies, mistruths and even lies about Australia’s military involvement or achievement. However, I can well understand how difficult it must be to remain unbiased, let alone accurate, about events that happened over 100 years ago. And, having worked as an advertising copywriter-creative director for over 35 years, in Australia and throughout the world, I know well how research can be used like a lamp-post: it should be used to illuminate, but all too often it’s used to lean against. However, when it comes to writing history, one must refrain from embellishments, let alone mistruths. Otherwise, what’s the point? Where am I going with this? 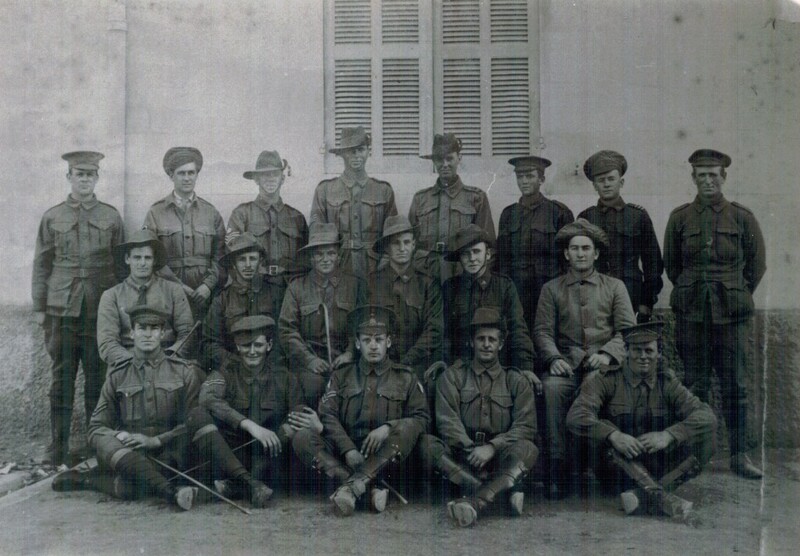 Well, my grandfather, Archibald Glover, fought with the 58th Battalion 1st AIF (Pompey Elliott‘s 15th Brigade). Like so many others at Fromelles, he was seriously wounded, and lay in No Man’s Land for over 24 hours. Any Australian military historian will tell you that battle at Fromelles was an absolute disaster. 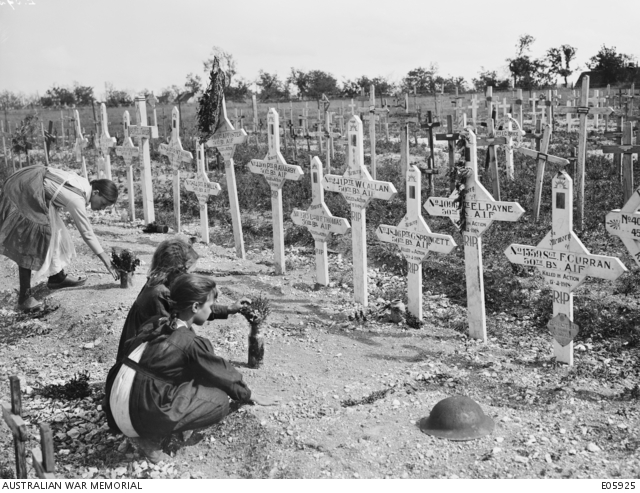 And, never before or since, have there been so many Australian casualties in one 24 hour period. Anyway, after his convalescence in England, my grandfather returned to France and Belgium and fought in all of the subsequent 58th Battalion-5th Brigade-5th Division AIF battles – Second Bullecourt, Polygon Wood, Villers-Bretonneux, Hamel, Morlancourt, Mont St. Quentin Peronne, and his last, Mont St. Quentin Canal. My grandfather was lucky to have survived those battles and he was ‘de-mobbed’, returning to Australia in 1919. As a small boy, I would sit on his lap as he recounted his ‘less frightening’ war stories, the only ones that my grandmother would let him tell a youngster. Later, until his death in 1975, and me being a teenager or a young man by then, I was enthralled to hear his ‘more frightening’ war reminiscences. It was at that early age – and, of course, encouraged by my grandfather’s ability to capture my imagination – I became interested in Australian military history: World War I, World War II, Korea, the Malayan Emergency, Vietnam. I well remember my grandfather saying to me that he and his mates joined up once they’d heard back in Australia about the bad news at Gallipoli. 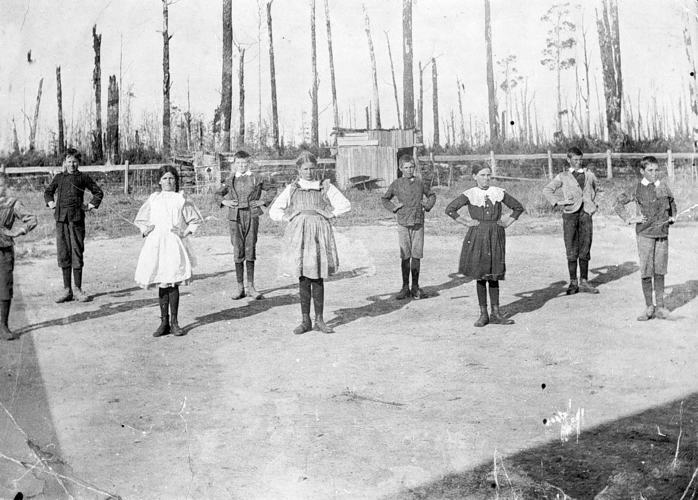 Like many of his age at that time, they all had just wanted to ‘do their bit’. 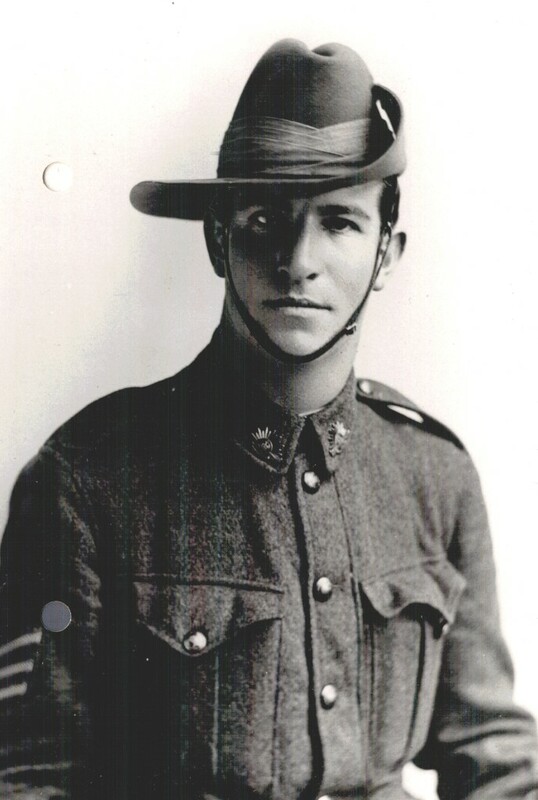 My grandfather also said to me that he, his mates and the Australian reinforcements who joined up after Gallipoli, always viewed those Gallipoli boys as ‘the originals’, and called them that – ‘the originals’. My grandfather and his mates earned the right to call themselves Diggers, but they never called themselves ‘Anzacs’. To my grandfather, and I’m sure to his mates, too, to have called themselves Anzacs would have been disrespectful to the originals. Peter’s latest book – the one and only book of his I will ever read – Victory at Villers-Bretonneux: Why a French Town Will Never Forget the Anzacs, is a perfect example. To be clear, this book was given to me by a friend who, knowing I read Australian military history, thought I would like it. As a gesture to my friend, I read it, and did so with no prejudice at all. Prior to reading it, I thought Peter FitzSimons was just a sporting commentator. So, I was interested to see if he was good at anything else. Well, after reading Peter’s latest book, I now realise he stretches the truth at best, and tells out and out porkies at worst. In fact, his writing is what I would call a patriotic homily. But, in a strange way, I’m glad I read the book. It’s made me acutely aware of what Peter FitzSimons and his ilk are all about. Between you and me, I think Peter FitzSimons is dangerous to the Australian ethos. Like any ‘interested Australian’, and given my grandfather’s involvement in the battle, I have visited Villers-Bretonneux. 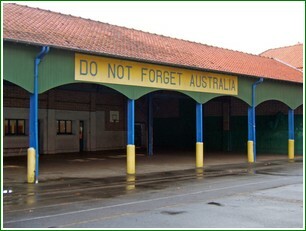 I know only too well that, throughout that French town, the school, the general store, and just about everywhere else, the Australians of the 1st AIF are well loved, and well remembered. Why? Because the Anzacs, ‘the originals’, never fought there! I’m sure there would have been ‘originals’ in that Villers-Bretonneux battle, but never as members of the Australian and New Zealand Army Corps. And there certainly weren’t any independent New Zealand units fighting at Villers-Bretonneux either. I think writers like Peter FitzSimons are just trying to hijack, for Australia and/or for their own sense of ‘historical’ literary importance, the word ‘Anzac’. Australians as a whole – all of us – and certainly not writers like Peter FitzSimons, own the word Anzac. It is a word owned by Australia and New Zealand. And rightly so. If my grandfather were alive today, he would be horrified to read the title of Peter FitzSimons’ book. So would his mates. And so too would every New Zealander who ever fought at Gallipoli with the Australian and New Zealand Army Corps. Poetic license? I think not. What I do think is: Peter FitzSimons is all about wanting to own Australian history (Mawson, Tobruk, Nancy Wake, Batavia, Gallipoli, Eureka, Ned Kelly, Fromelles-Pozieres, Kingsford-Smith, Les Darcy, etc) and I think it’s high time he needs to be shown for what he is. As a story teller. Not a historian! I won’t bore you with my thoughts about his ‘making stuff up in between the lines’ literary approach, or his ‘ocker’ syntax. But to me, his over-paid literary endeavours are destructive, misleading and jingoistic. I have tried and tried to get in touch with Peter FitzSimons. I have written to his editor. I have even tried writing to him through the Sydney Morning Herald. But no response. I don’t do any social media. Nor do I see the point at my age in doing so. So, Twittering, Facebooking or Instagramming are not options. They may be OK for a retired rugby player, but not for a retired adman. So my only port of call is through this worthy Honest History website. I’m not sure if the reader is as disgusted as I am with Peter’s attempt at rewriting history. But I would ask the reader to think upon this: once these mistruths are allowed to go unchallenged, they will become the truth – or so future generations will see them. And, to me, that would be tragic! At my age, and with my extensive, yet humble Australian military knowledge, I owe it to my grandfather, to his mates, and to ‘the originals’ (both Australian and New Zealanders) to call the likes of Peter FitzSimons, et al, for what they are. Trying to be something they’re not. * As the article says, Jeff Glover is a retired advertising man and military history enthusiast. He lives in rural Victoria. You’re right. Engaging the modern reader about history, requires more than just military facts. It must also, in a world full of competing media, offer context. But it mustn’t try to mislead, or to own something that is owned by more than just Australians. Its disrepectful to New Zealanders. The ‘contextual’ dialogue used by Fitzsimons was never used by any Australians in WW1. Can I suggest Mr Carli, maybe you should read a Fitzsimons’ book. And then you may have a better idea of what I, Honest History and others are concerned about? It is important for all readers of history, to expect more truth than mis-truth within any historical text. Understanding emotions of various participants within the historical narrative, is a plus. But only a plus, if its to paint a more informative picture. Trying to own Australian history may not be the only reason for FitzSimons writing ‘his’ version of events and conversations within his Villers Bret book. But to suggest that the French people of that town will never forget the Anzacs who fought there, is a misuse of yhe word at best. Or an ill-informed, badly researched and poorly subtitled, at worst. I’ll let other more qualified historians decide which. The argument for Peter FitzSimons’ style of history is that it makes historical subjects accessible and keeps important matters before the public. The earlier exponent of this style was Frank Clune, however, Clune had the Oxford scholar P R Stephensen as ghost-writer,fact-checker,and editor. His works were eminently readable. For my part the main issue concerns the use of language. World War One diggers, a number of whom I have interviewed, did not speak like Ockers, and they didn’t think like them either; that came in the early 1970s and is, I believe, symptomatic of the cultural cringe/cringe-inverted. Events are important, but only if the people involved are fairly represented. Mr. Glover..I am of the opinion that “history” has to be more than just the collating of “known facts”..It has to also demonstrate a knowledge of the emotional experience of those many players involved at the time. This could lead to a criticism by the more exacting reader as a misinterpreting of the history. If we read Julius Caesar’s “Commentaries”, for instance (taking a very famous person themselves)we will soon understand that the purpose of the exercise was more to do with capturing the sympathy of a domestic audience than recording accurate detail..and , of course, as you mention with the writer above there are times when a more “excitable” extrapolation of the events is required to move those other than the relatives of the persons involved..(I have not read any of Mr. FitzSimons books)..The public are fickle and if their imagination is not stirred by more than a list of names of people and places and perhaps ordinance equipment and military maneuvers, then regardless of national relevance, some very important historical happenings could be “driven past” at a rate of knots more fitting a jet-ski than a trap and pony. Rest assured you are not on your own with your thoughts.